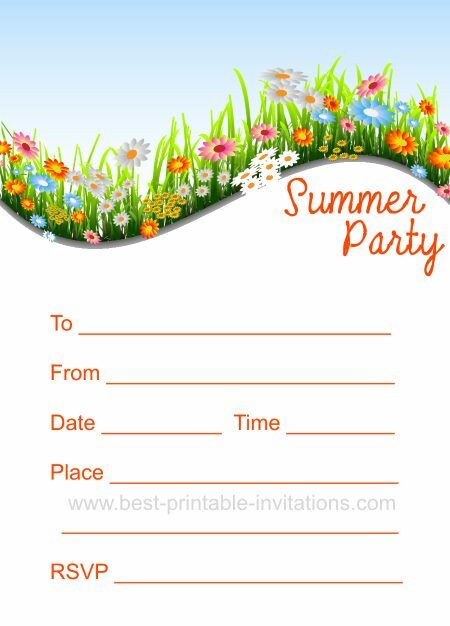 Need a Summer Party Invitation? 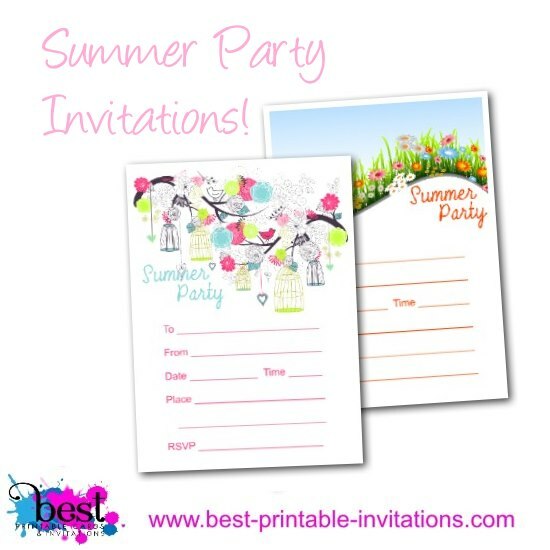 Summer is a fantastic reason to celebrate and these free printable summer invites will help you do it! 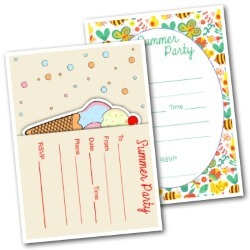 I have a range of pretty summery designs available - which is your favorite? 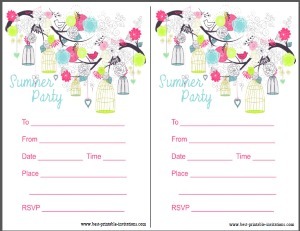 Whether is is a picnic or a garden tea party, these summer invitations are a wonderful way to invite your guests. 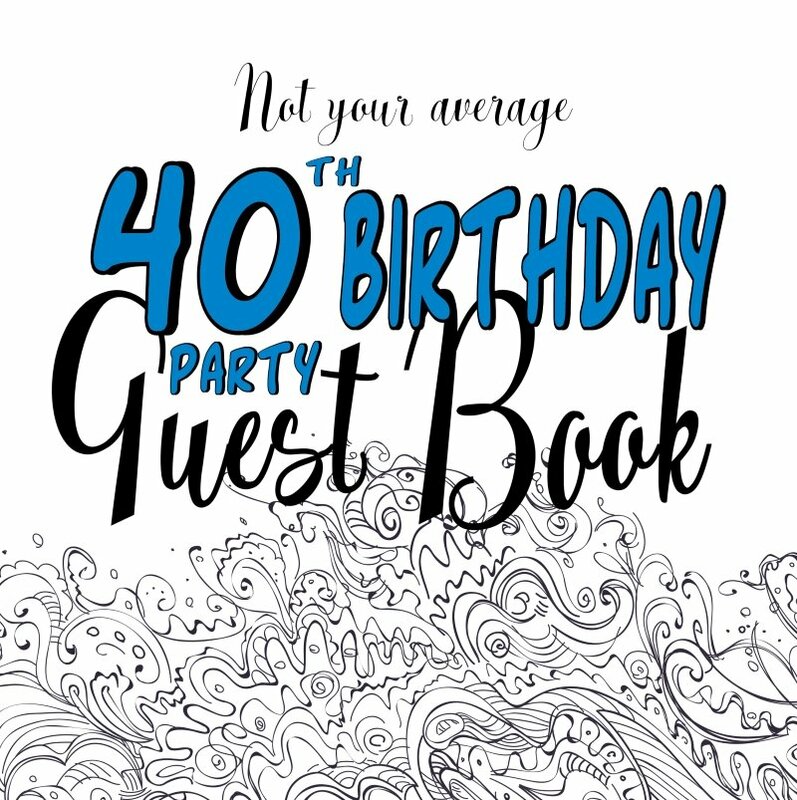 On this page I have two designs more suitable for an adult type event. Check them out (and more!) below. Beautiful birds and blossom on trees make a striking design. This would be wonderful for parties out in the garden. The colors are soft and gentle and this prints out beautifully. 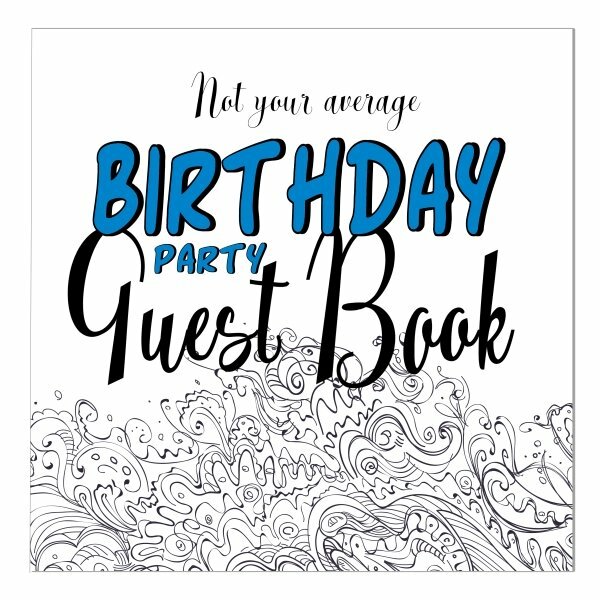 Two invites per page - just print and cut apart. No registration is needed. Colorful flower design. 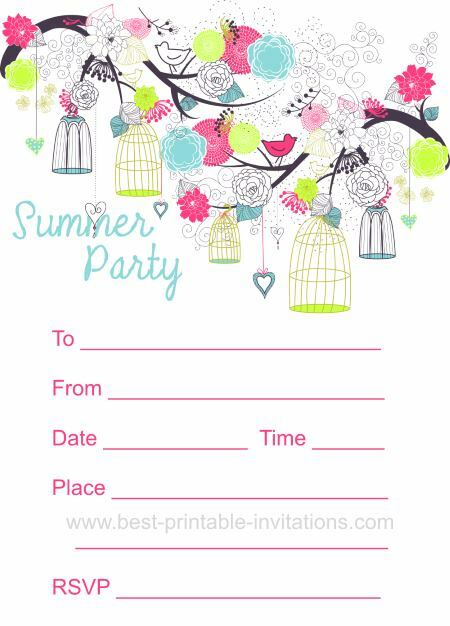 This invitation is wonderfully evocative of summer. Would suit lots of different type of parties. Prints two to a page. 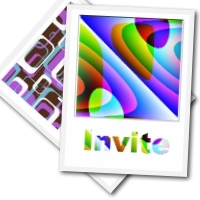 These invites would work well for lots of different types of summer events. 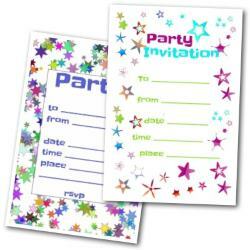 If it is a more formal type of party, then use good quality paper for printing - it makes a big difference. Print out a few on samples to see which you like best. 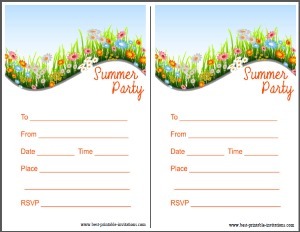 Summer parties are great outside, but have a contingency plan in case the weather isn't as nice as you hoped. 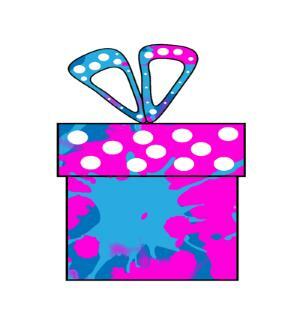 There are lots of ideas for do-it-yourself decorations on my pinterest board. 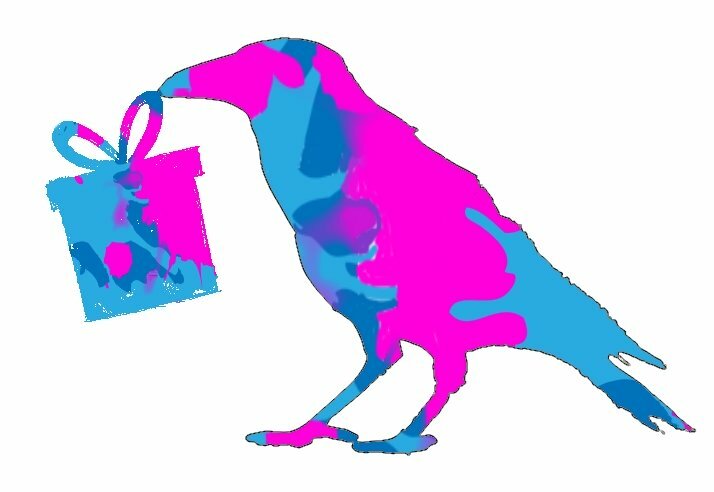 Why not take a look and see if it inspires you. Just small touches can sometimes make a world of difference to the atmosphere of your event - so plan carefully and feel about what you want to create. Follow Julie @ FromtheRookery.com's board Party Decoration Ideas on Pinterest. I hope it goes really well for you and everyone enjoys themselves.